Reignite the Rocky legacy at a special advance screening of Creed, starring Michael B. Jordan and Sylvester Stallone. Visit www.wbtickets.com and enter the code ReelCreed to download your admit-two pass the screening being held on Wednesday, November 18 at 7PM in Salt Lake City. Please note that seating is not guaranteed; please arrive early for a chance to get in! 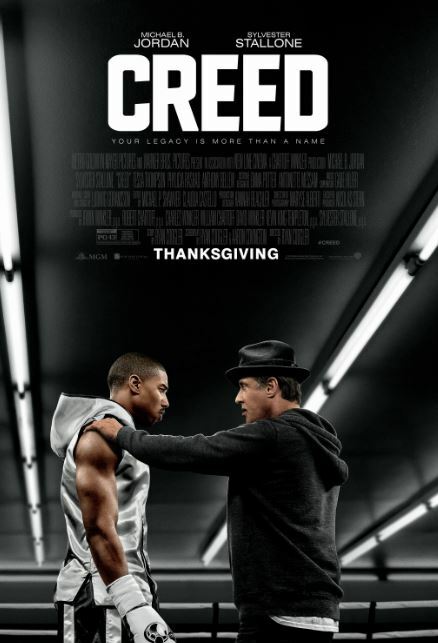 #Creed opens in theaters November 25! Synopsis: Adonis Johnson (Jordan) never knew his famous father, world heavyweight champion Apollo Creed, who died before he was born. Still, there’s no denying that boxing is in his blood, so Adonis heads to Philadelphia, the site of Apollo Creed’s legendary match with a tough upstart named Rocky Balboa. Once in the City of Brotherly Love, Adonis tracks Rocky (Stallone) down and asks him to be his trainer. Despite his insistence that he is out of the fight game for good, Rocky sees in Adonis the strength and determination he had known in Apollo — the fierce rival who became his closest friend. Agreeing to take him on, Rocky trains the young fighter, even as the former champ is battling an opponent more deadly than any he faced in the ring. With Rocky in his corner, it isn’t long before Adonis gets his own shot at the title … but can he develop not only the drive but also the heart of a true fighter, in time to get into the ring?